Our vision is to construct sustainable communities of interdependent, inclusive resident groups, both permanent and transitional. They will be built on principles of equality, cooperative maintenance and operation, environmental sustainability, creative re-use of materials and resources, all using existing and advanced technologies and methodologies. We endeavor to retain, represent and expand the most valuable asset to Portland’s identity; it’s creative class. Using existing models and technologies, the proposed plan is a pilot demonstration of self-sustaining interdependence, prioritized according to Maslow’s hierarchy, and, from this, growing environmentally and aesthetically friendly cultural ecosystems. Among the benefits will be affordable housing and work space, replicating critical social services, including training and the means to implement these, along with other important ancillary needs and services. These cultural ecosystems, scalable high impact and small footprint, will be environmentally and aesthetically friendly, offer the means to build equity, and forward a unique and holistic means for public-private partnerships and participation. 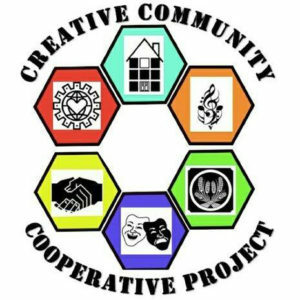 The ongoing mission is directed in efforts to replicate these cultural pods, apply them in targeted neighborhoods, and to grow the program into a network of creative magnets throughout the community.